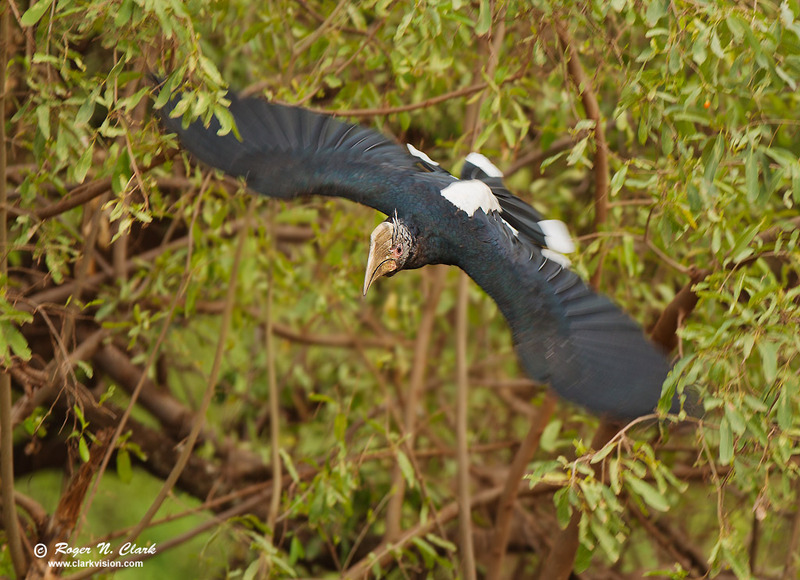 A crowned hornbill flying through trees in Lake Manyara National Park in the fading light of late afternoon. Tanzania. Canon EOS-1D Mark IV camera, 300.0 f/2.8 L IS lens at f/4.0, 1/320 sec, ISO 200. Amazingly fast autofocus locking and tracking on this bird was required as it flew through the trees.